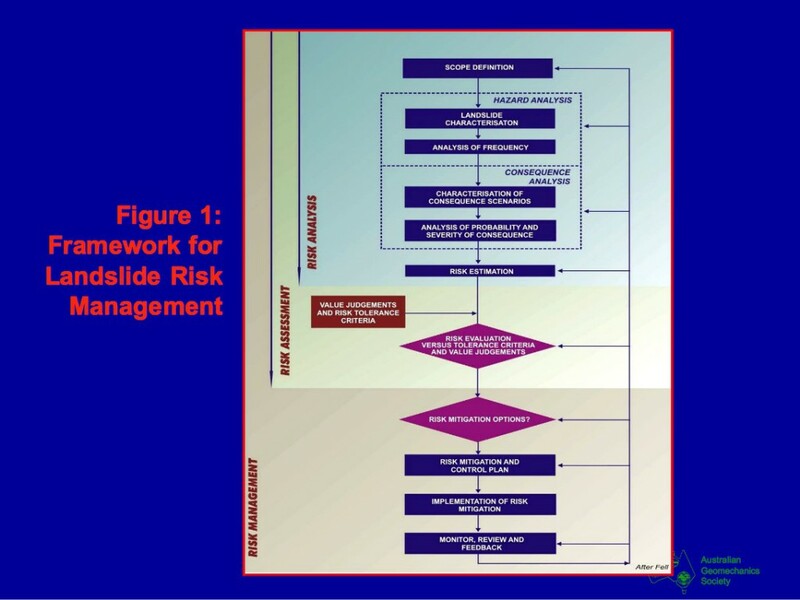 This module of the website is aimed at the Practitioner who will be responsible for the technical assessment and advising the Client and Regulator in relation to Landslide Risk Management (LRM). 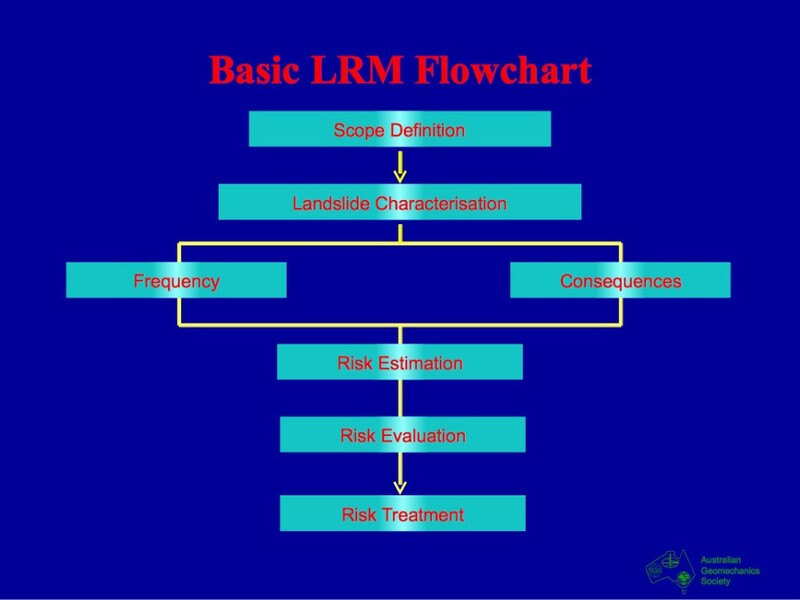 The format of the module is for a series of Questions relating to the understanding required by the Practitioner of the main concepts or steps in LRM. 1. What is meant by RISK of a landslide event? The likelihood or probability of a landslide event. The consequences of the landslide event should it happen. The measure of how important the event might be. A concept which the practitioner can choose to suit the project. It is important to realize that the likelihood or probability of a landslide event is only part of RISK. The consequences of the event must also be taken into account. Whilst it may seem appropriate to choose a concept of risk to suit a particular project, this approach is not preferred in AGS 2007c. This approach has been used in the past, but it leads to misunderstandings/confusion and may not be directly comparable to the Acceptance Criteria. Practitioners need to use a clearly defined approach and terminology which is common to all.